Two letter writing campaigns have addressed the legislation currently being written in response to the fiscal monitors recommendations. StrongEastRamapo urges lawmakers to write a law that includes “strong state intervention for East Ramapo”. Many people wrote, asking the state to empower a monitor with the authority to: direct the superintendent proactively to take actions necessary to ensure an excellent education for the children of East Ramapo, not just reactively veto the poor decisions of the board; and to be able to dismiss the superintendent if he fails standard performance reviews, and to hire a new one. If you have not participated yet, please do so now! Power of Ten also has a letter addressing the financial crisis which the fiscal monitor described. The monitor recommended more state funding, but did not make any statement about what the source or mechanism should be. Our analysis led to our recommendation to amend the Contract for Excellence law which provided extra funding to high-need districts. The money would only be available for approved uses, such as providing full day kindergarten or reducing class sizes. East Ramapo is not currently eligible, that is why we are asking the lawmakers to amend the law to allow East Ramapo to be added. Assemblyman Ken Zebrowski has replied to those who participated in the Power of Ten letter writing campaign. Thank you for writing my office regarding funding for the East Ramapo School District and the Contracts for Excellence Program. The Contracts for Excellence were accountability measures that were placed upon school districts that received increased funding in 2007. These accountability measures provided oversight over the allocation of increased funds. To my knowledge, this program remains in place for most districts that received funding in 2007 but is not a recurring program that school districts are added to. Please be assured that one of my top priorities for the upcoming legislative session is passing a bill with appropriate oversight over the East Ramapo School District. I am currently in the process of working with my Rockland colleagues to develop a bill that can be introduced within the next couple weeks. In conjunction with this oversight we will be working to significantly increase State Aid to the district in order to protect and restore programs for the students. The mechanism for that increase is being discussed and researched amongst the Rockland delegation and will likely be debated over the next several months. The final product will hopefully be secured in the next State Budget which must be passed on April 1st. Thank you again for your email and suggestion regarding the Contracts for Excellence program. I will continue to research this program, and others, as we address the need for State oversight and increased funding. Thank you for your reply. I understand that C4E as it is currently exists does not allow for the addition of new districts. That is why I’m asking that you seek to amend it to include East Ramapo. 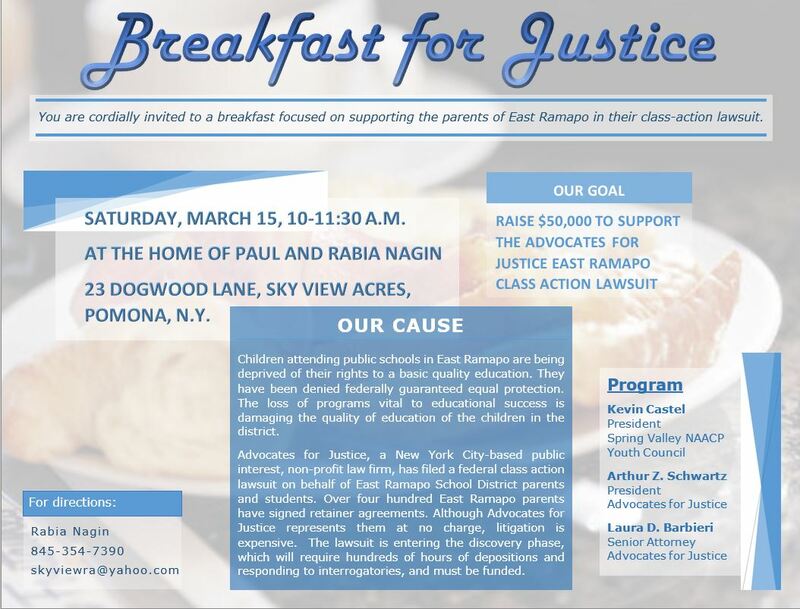 C4E targets many of the programs, such as smaller class sizes, all-day kindergarten, students performing below standards, English language learners, and students with disabilities, that are currently at issue in East Ramapo. Furthermore, C4E includes a mature, well-defined, and most importantly, effective method for monitoring performance and ensuring accountability from the district that the funds are being used appropriately and achieving their intended purpose. Changing the school funding formula is controversial, and getting such a change passed may be difficult, since any change would have impacts and consequences far beyond the borders of East Ramapo. 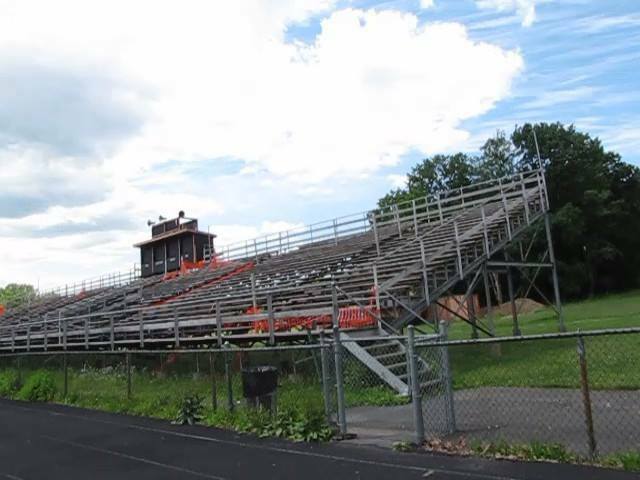 Likewise, any attempt to pass a “custom” solution for East Ramapo will face an uphill battle. On the other hand, C4E already exists, already has a source of funding, and already has a proven track record. It may be easier to obtain the votes needed to add East Ramapo to this program than it would be to obtain the votes needed for the other options. 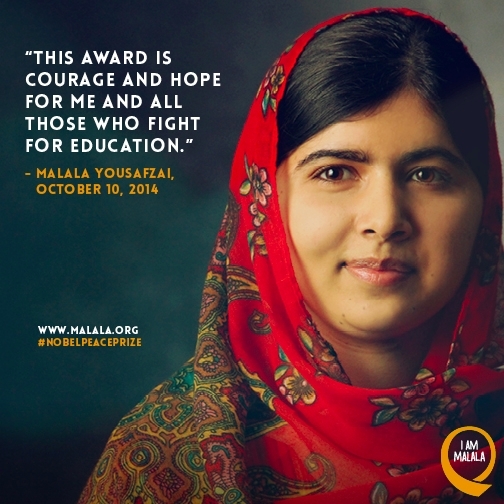 2014 Nobel Peace Prize recipient Malala has started a new movement called #TheLast child denied an education. I have joined, and I’m asking you to stand with me. 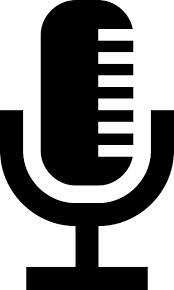 The next East Ramapo Underground Radio Show is this Friday, December 12 at 10am on WRCR-1300AM. Many things have happened since the last show. Most importantly is the Fiscal Monitors’ Report about the school district. We will discuss what we like and don’t like about his report. Who will be the Heroes and Zeroes of the month? Who gets coal in their stocking this year? FOR USA opens the doors of its national headquarters at Shadowcliff, 521 N. Broadway, Upper Nyack, for community warmth & fun. As always, please bring a savory or sweet dish to share; beverages will be provided. During the celebration, the 2014 Nyack Local Peace Awards will be presented to the Nyack Center with Executive Director Kim Cross and local philanthropist Herb Kurz. This year’s musical guests include: Regret the Hour, Lisa Sokolov, Bill Vanaver, Naaz Hosseini & Peter Blum, Steve & Emilia White, Answer the Muse, and more. Suggested donations: $15, $35-Families, $100-Earth Angel. RSVP/INFO: 845.358.4601, S. Hope Altkin, ext. 32, or Jonette O’Kelley Miller, ext. 29. Rev. Dr. Weldon McWilliams IV will be imparting his perspective and proposed solutions to a myriad of problems affecting our people in special teach in lectures starting with a focus on recent tragedies by law enforcement and the criminalization of Black Men throughout American history. What is AMERICA telling Black Men & the Black Community, how are we responding and is it the proper response? Please join us in a rally right before the next regularly scheduled school board meeting. It is Time for us to stand up and be counted. We refuse to be ignored any more! 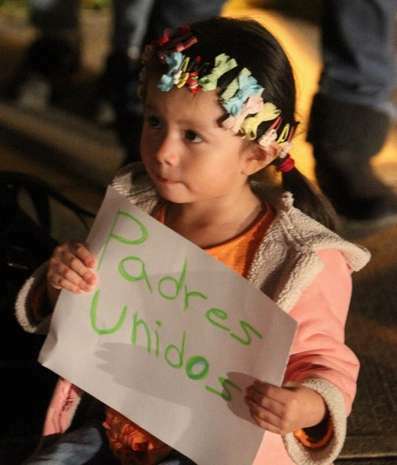 Exigimos IGUALDAD EN LA EDUCACIÓN para Todos los Niños! Nou Mande BON KALITE EDIKASYON! Nou Mande EGAL EDUCATION pou Tout Timoun! NY State has ordered that the school board and administrator go for diversity training. This week the fiscal monitor appointed at the request of Governor Cuomo gave his report. For Power of Ten readers, it was familiar material. From fiscal mismanagement to favoritism to lack of transparency, we have been bringing you the story with documentation, and corroboration from major media for years. But the Governor wanted another pair of eyes to verify. Mr. Greenberg provided a brilliant summary, and there was a lot of media coverage! Excerpt: Regent Rosa’s Comments: she says she was presented with evidence that public funds were spent on religious texts. If that would be considered illegal anywhere else, why not in East Ramapo? The monitor’s report does seem to indicate that governance problems are a substantial factor in East Ramapo’s chronic underperformance. It is up to our elected officials to review the report and recommendations, and to pass legislation that will align the state’s power’s with its responsibilities. It is NY State which is ultimately responsible for ensuring education for all children, and the state which decides which system of governance will ensure that it meets those responsibilities. If it does not, you can count on parents to never, ever let it go. There have now been six protests since Dr. Klein singled out Latino immigrants. Each time the numbers have grown. They have stood in the rain; they have held protests even when the board cancelled the meeting (twice!). PLEASE come to the next protest and join them! It has been almost four years since I first wrote to Attorney General Schneiderman about the false instrument used in the sale of Hillcrest Elementary. To date, only one person, the appraiser Avi Vardi, has been charged. He received his sentence for filing a false instrument in July, 2014. However, during this period of time, the same school has been sold again to the same seller, with no action from Schneiderman’s office. There is a summary of the alleged scheme on the Preserve Ramapo website, based on the initial charges filed by Attorney General Schneiderman against the appraiser. This alleged scheme included actions of public officials, acting under color of law, defrauding the public and causing irreparable harm to thousands of schoolchildren. I cannot imagine any fraud case which should have a higher priority. The Attorney General says the investigation is “ongoing”, but in the meanwhile it would appear that the activity being investigated may also be “ongoing”! This year’s recipient’s are Kim Cross and Herb Kurz. Congratulations to them both! Last years honorees (Myself and my wife Emilia) will be back this year as part of the concert! Please personally contact 10 people and remind them to vote! Polls are open until 10:00 PM. 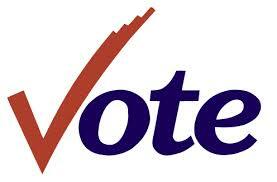 According to a report in the Journal News, you do not need to be a registered voter to vote today!!! 3. Petition to President Obama: Investigate East Ramapo! Former and current East Ramapo students met with the fiscal monitor appointed at Governor Cuomo’s request. The image they conveyed of the status of East Ramapo was dire. 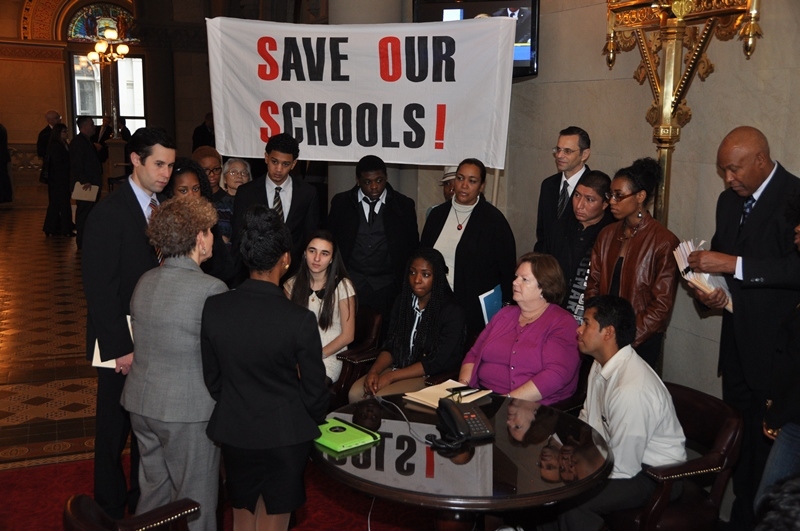 We hope Governor Cuomo is getting the message; we are waiting for him to act decisively. There will be an informational meeting on the subject on Wednesday, September 24, 2014 from 7:00 pm – 9:00 pm, at the Hillcrest Firehouse, 300 North Main Street, Hillcrest (Across the street from the Bravo shopping center) – Lower level meeting hall in rear of building. Please sign this petition, and encourage everyone you know to do the same. In the last update, there was a broken link to some excellent coverage of the rally on September 16. There is a petition asking the district not to discriminate against Latinos, we are hoping to get 1000 signers, as of now it is almost halfway. Please sign this petition. All this weekend, East Ramapo was the topic of discussion at dinner tables around the country. National Public Radio aired an episode of “This American Life” called “A Not So Simple Majority”. The show can now be heard in its entirety embedded on our homepage. Follow the link to read the transcript or see photos on the NPR website. People continue to react to Superintendent Klein’s remarks about Latino students. There was another rally on Tuesday, even though the board meeting was cancelled. There will be a special election for Town of Ramapo residents to decide if they want to adopt a ward system for the town council. This is a very important vote! Information is available at www.preserveramapo.org. This Saturday, Sept. 20th, the Rockland Chapter of the Haitian American Nurses Association will be holding their Scholarship and Awards Fund Raising Gala 8pm at the Colonial Inn 545 Tappan Road, Norwood, NJ. HANA volunteers services to communities in need both here and in Haiti as well as other countries in need. HANA also provides scholarships for Nursing School students in Haiti as well as Ramapo and Spring Valley High School Graduates. Unfortunately, with the cutbacks that have affected local media, there is very little local information available. The Journal News used to do interviews and endorsements, but no more. This article is all I could find about local candidates. Fortunately, another local media outlet, www.preserveramapo.org, still does local election coverage and endorsements. 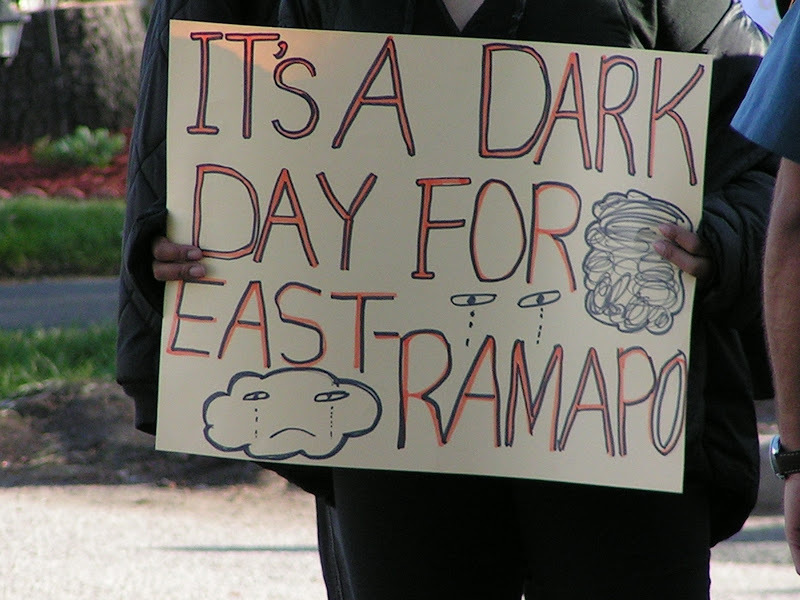 Preserve Ramapo has also done excellent coverage on East Ramapo issues over the years. A search of the site reveals 365 references to East Ramapo. A special thanks is owed to Michael Castelluccio, the webmaster. A Community Forum presented by Wake Up Rockland. The program will feature a panel and a Q&A session with the community. Panelists include Wilbur T. Aldridge, Ashley Okonkwo, Sheriff Louis Falco and Rev. Weldon McWilliams IV. The Spring Valley NAACP and The Jamaican Civic and Cultural Association of Rockland (JAMCCAR) are collaborating in hosting a Primary Candidates Forum. The Forum will introduce to the community at large, all candidates seeking elected positions for the upcoming September 9, 2014 Primary Elections. All candidates (Board of Elections-listing) have been invited. The Forum will be held on Thursday September 4, 2014 at the Louis Kurtz Center, Main/Madison Avenue, Spring Valley, NY. It will begin at 6:30 pm. Participants at the Sept 2 Rally indicated that they intend to return at the next school board meeting to again emphasize their displeasure with Superintendent Klein’s comments and to advocate for equal treatment and quality education for all students. Please help spread the word. So many people turned out for the Rally on Tuesday that they could not fit in the meeting room!!! Many had to stand outside in the hallway. They brought signs and stories and children. They came because they know what the Superintendent had said was wrong. They know that the young people who go to register for school, of whatever age, want to have ALL of the opportunities that a public education system has to offer. A chance to play in the band, to be on the team, to learn history, and science, to do experiments in the lab or design graphics in the art department. 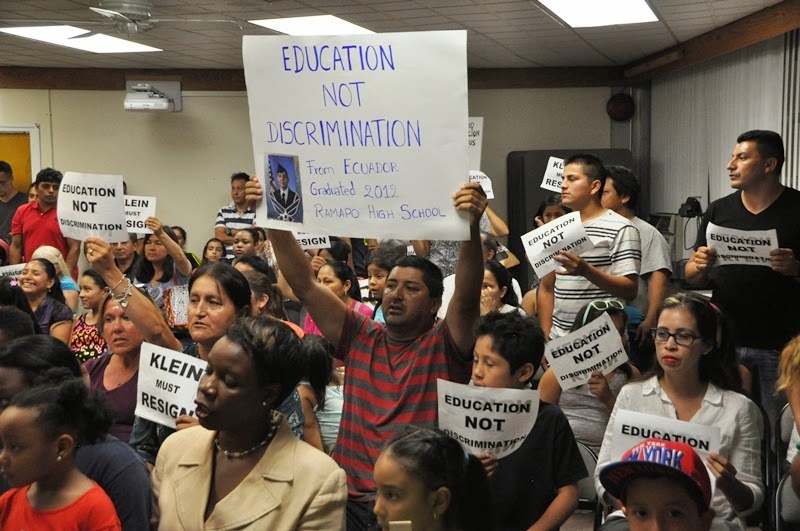 The East Ramapo School Board does not want to recognize that immigrants are dreamers. They have cut programs that Latino children depend on to fulfill their dreams, while at the same time spending wildly on lawyers to defend themselves and their discriminatory policies from the NY State Education Department, the NY Attorney General, the parents and the taxpayers. Dr. Klein’s comments address immigrant youth who come to his district as laborers, not dreamers. His summary dismissal of the dreams of students who are “from Central and South America”, “illegal”, and “15 or over” as if somehow they show up to register for school but don’t really want the same education as everyone else is the definition of racism. There are many young people who sadly don’t register for school. Those who do register are by definition the ones who want an education. Instead of trying to limit these young people who are inspired to keep trying, the district should be reaching out to the community to promote the benefits of education to those who are not coming to apply. We are calling on all parents, students, neighbors, and everyone who is shocked by this racist policy to come to the next school board meeting. Please do not fail to attend this important meeting for the future of our youth. When one group is targeted, we are all victims!!! We all deserve a chance to succeed! No matter where I came from all I want is to have a better life! The Power of Ten applauds them also!!! 2) School Board Hires D’Agostino Again!?!? The East Ramapo School Board faced hundreds of angry students last April chanting “D’Agostino Must Go!” after he verbally abused a student. They did not even comment on the incident. Three months later his associate was caught on camera hurling profanity at a parent. The video went viral and public outrage included the media and elected officials. So the district announced that a transition to a new firm would take place. One year later, after the worldwide scrutiny has died down, the board does the exact opposite of what they said they would do. 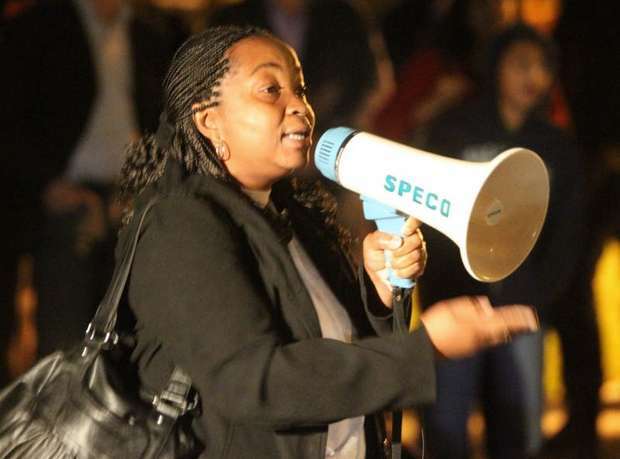 The action brought quick condemnation from every level of civil society, but the East Ramapo school board appears to be insulated from any accountability for their actions, due to unwavering support from their ‘bloc’ vote. The system of local control of school governance usually works well to benefit the families and promote a better society through education, but East Ramapo shows this is not always the case. The following fundraisers were organized by Power of Ten Readers. Maybe you have a fundraising idea too? Contact A4J Executive Director Liz Turner at lturner@advocatesny.com; (212) 285-1400, Ext. 703) to share your idea! 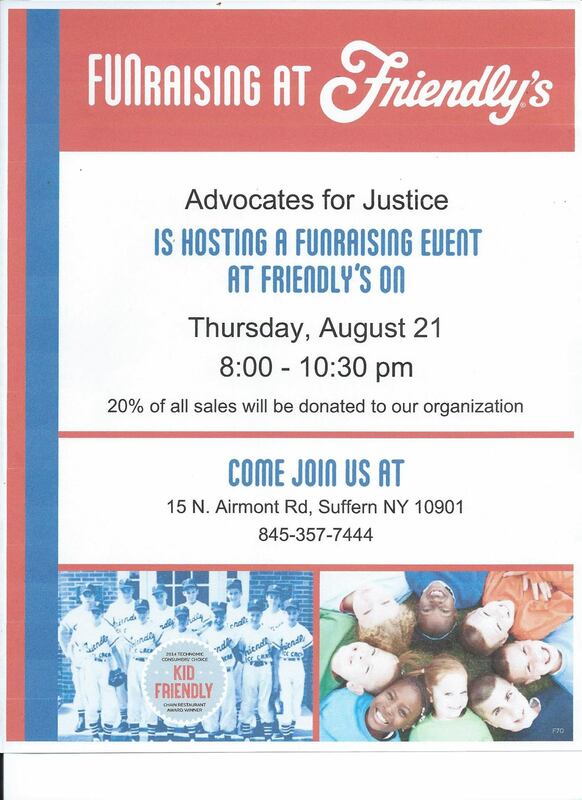 DATE: Tuesday, July 29 from 5 to 8 p.m.
WHAT: Fundraiser to benefit Advocates for Justice – East Ramapo litigation. A percentage of all food and products sold on that day during that 3-hour window will be donated to Advocates for Justice. A representative from Advocates for Justice will be there to greet attendees and to answer questions. Mark your calendars and bring your family and friends for a tasty, healthy treat while supporting a wonderful non-profit. Beginning on Sunday, August 3rd, and the first Sunday of each month, I will be meditating at F.O.R.. I hope you will come join me. I’ll be offering a little guidance at the beginning, but mostly this will be an opportunity to meditate in silence with like-minded people. There will be no charge. Donations will go to a specific local activist group working for the environment, social justice and peace. This August 3rd, donations will go to Advocates for Justice, a non-profit group working for the students of East Ramapo to get a fair shake and good education. Gov. Cuomo Acts for East Ramapo!!! Thanks to all those who provided feedback about the direction of The Power of Ten. The feedback was very helpful. One reader suggested that I keep the focus of the messages on East Ramapo, but also provide a page with links to other important groups and stories. This seems like a sensible compromise, and so I have added http://poweroften.us/links-and-events/ to the www.poweroften.us webpage. To suggest a link or event, just send me a message at steve@poweroften.us (please send links to your item rather than text whenever possible). The news about the fiscal monitor is very welcome. It is the direct result of YOUR activism, whether you signed a petition, made a call, wrote a letter, or came out to a rally. Thank you! 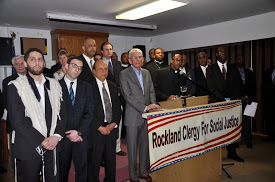 Special recognition must be given to the new organization “Rockland Clergy for Social Justice”, which has just recently been to Albany to advocate for state oversight. The reaction of the school board and Superintendent were as predicable as they were ridiculous. The Superintendent said “everything is perfect here” and “we have nothing to hide” (Journal News). This is from the same district that refuses to provide certain documents to the NYS Attorney General as he investigates possible real estate fraud in the sale of an elementary school. The aversion to oversight is a long practice of the East Ramapo Board. Remember when they tried to stop videotaping of board meetings? Now they are turning down $3.5 million dollars that could be used to restore programs such as Art, Music, Sports or Kindergarten, because they object to “an outside group of people” on an advisory board, apparently a reference to the requirement for a public school parent to be a member. Another group which has become infamous for aversion to oversight in East Ramapo are private religious schools. There were a number of well publicized cases last year in which local zoning authorities had to act on violations that endangered safety and negatively affected neighbors. Now it seems that East Ramapo has teamed up with a private religious camp in avoiding oversight of swimming pool construction. Join CEJJES Institute for a conversation about taking back our economy through alternative economic development and action. Learn about creating a solidarity economy, and the different kinds of cooperative businesses around the country. See how these democratic community-based enterprises serve or can serve communities of color and low-income neighborhoods. Join us in celebrating the publication of Jessica Gordon Nembhard’s new book: Collective Courage: A History of African American Cooperative Economic Thought and Practice. Jessica Gordon Nembhard will talk about the strong but hidden history of Black cooperatives, and connections between the Black cooperative movement and the Civil Rights Movement. In conjunction, we will be celebrating one of our founder’s 93rd birthday! The memorial service for Pedro will be held Tuesday, May 13 at 6 p.m. at the Lafayette Theater in Suffern. School Board Loses Two More Lawsuits! 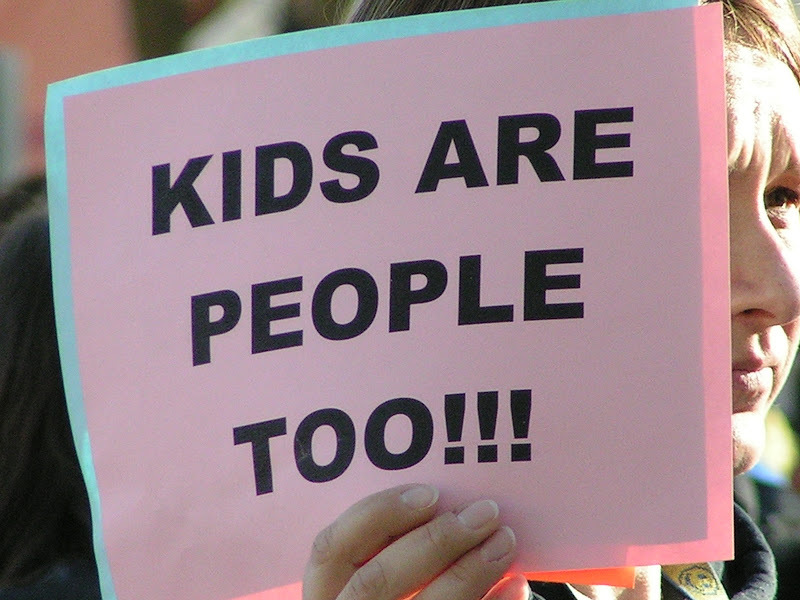 1) School Board Loses Two More Lawsuits! In 2010, the East Ramapo school board voted to sell Hillcrest Elementary to Yeshiva Avir Yakov. That sale was stopped by the NY State Commissioner of Education. The appraiser used by the district has since been arrested for his role in that matter. Commissioner Steiner also cautioned the board regarding its future plans for the school. However, in 2013 NY State had to step in again, this time over the rental price given to Yeshiva Avir Yakov. Once again, the district had made a deal with the yeshiva without adequately attempting to find the best return for the taxpayers. The district responded by suing NY State. On January 29, the court upheld the actions of the Commissioner. Members of a school board might inadvertently advance religion in various ways, such as by closing school, or avoiding scheduling extra-curricular activities, on religious holidays. However, the allegations sustained by Judge Seibel, purchasing religious textbooks, paying religious school tuition, and transferring school property to religious schools, were clearly of a deliberate and intentional nature. Thus, these acts come within the exclusion for fraudulent, dishonest, malicious, criminal or intentional wrongful conduct. The District has not established that any of its board members are innocent insureds in that they had no knowledge of the fraudulent and dishonest conduct. The court concludes that New York Schools has established as a matter of law that there is no possible factual or legal basis on which it might eventually be obligated to indemnify the District for the actions alleged in the Establishment Clause causes of action. East Ramapo has been cited by the NY State Education Department three times for failing to follow State and Federal Law in regards to the placement of Special Education. In order to stymie NYSED in regards to any enforcement action, the Board sued NYSED, but lost. Now they are appealing. See it on YouTube. Legal expenses for the district have skyrocketed since the longtime lawyer for the district was summarily fired and replaced with the current law firm. One can only imagine that if the district still had its previous lawyer, he would have advised against all of the actions that the district has taken, from violating the contract of the superintendent, to placing children in private school at taxpayer expense, to suing the NY State Attorney General and the Education Department. When the change was made, the public complained about the doubling of the hourly rate- they had no idea of just how many unnecessary lawsuits were coming, or that even more expensive lawyers would be hired to defend the new lawyer. ALL of these outrageous expenses are coming from your tax dollars that are supposed to provide for the education of the children of the district. The civil rights lawsuit filed by Advocates for Justice seeks monetary damages from the people who brought this disaster to our district. Please support Advocates for Justice. The Governor recently signed the Veterans School Tax Exemption. This law allows local school boards ability to decide whether or not to bring this matter up for a vote. They may also decide not to take any action. There is no deadline for them to act. However, the deadline for Veterans to file for the New York State Tax Exemption is March 1st of each year. East Ramapo apparently is not going to participate in this program to help veterans. See it on YouTube. Last Fall, an Orthodox day camp advertised on its web page that its new location for 2014 would be the Chestnut Ridge Middle School. Requests for documents from East Ramapo were repeatedly denied. Now a vote has been taken to approve a lease. Parents and Taxpayers are increasingly concerned that a building which was built with their hard earned tax dollars, which had up until recently been available as a summer spot open to ALL children, will now be operated by an entity which can exclude children based on religion. There is also a serious question, based on the school boards prior actions, that the price which has been negotiated may represent a gift.